Brandt made his acting debut as a munchkin in a grade school performance of The Wizard of Oz. He was six years old and the tallest munchkin on stage (he's now 6'6"). He later worked as an investment banker, played on tour against the Harlem Globetrotters, and played professional basketball in Europe. 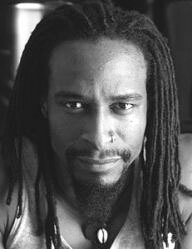 But he finally returned to acting and has appeared in numerous New York City productions, including Blue Light Theater Company’s The Pitchfork Disney (Off-Broadway); Walt Disney’s workshop of Hoopz, directed by Savion Glover and Kenny Leon; and the workshop of Joe Fearless (A Fan Dance) with Matthew Broderick and Rosie Perez. Brandt is a Williams College graduate and has an MBA from New York University. For video clips, photos, resume, etc., please visit www.brandtjohnson.com. Ron has been directing and acting in New York for more than 20 years. His work has been seen at LaMama, Ensemble Studio Theatre, the Atlantic Theatre Company, Playwrights Horizons and the Kennedy Center. Ron has worked with Lois Smith, Noah Emmerich, Brian Geraghty and Sherie Rene Scott to name a few. Most recently he appeared as George in Sympathetic Division by Gianna Marotta for which he received a best supporting actor nomination at the Midtown International Theatre Festival. 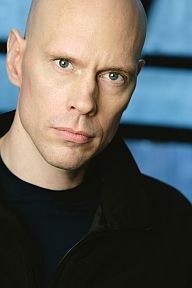 He also recently performed in 14 incarnations of the A Train plays produced by Lawrence Feeney. 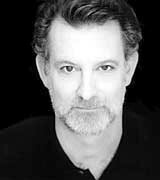 He is a member of both the Ensemble Studio Theatre and The Players, and teaches acting at The Neighborhood Playhouse. Ron is originally from Rhode Island, which he claims is bigger than Delaware at low tide. For more information about Ron, please visit www.stetsonstudio.com. 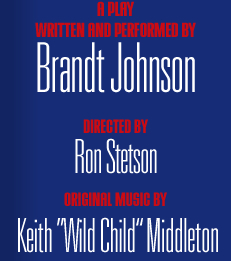 Keith “Wild Child” Middleton, a performer since age five, has stomped (as a cast member of the Off-Broadway show Stomp) in New York and across the globe. He produces and performs with his rap group, Hydra. He has also produced for the Lyricist Lounge and a host of rap and R&B artists. He has composed for two Off-Broadway shows, Spine and Liz Tucillo’s Joe Fearless (A Fan Dance), and for the FringeNYC 2005 production of Pride and Soul.